The Gibraltar Football Association (GFA) was formed as the Gibraltar Civilian Football Association in 1895, changing to its current name in later years. It is the seventh oldest national football association in Europe and one of the oldest associations in the world. The GFA was formed as an increasing number of football clubs were coming into existence in Gibraltar, and the association was designed to bring some form of organisation to the game there. Between the association’s formation and 1907 the only football competition in Gibraltar was the Merchant’s Cup. However, in 1907 the GFA established a league to complement the existing cup competition. By 1901 the GFA had established a representative national team, competing against British military teams. This representative team continued to play down the years. In April 1923 the team travelled to Spain to play club side Sevilla in a friendly; two games were played and Gibraltar lost both. The side also managed a famous draw with Real Madrid in 1949. In October 2012, the GFA became provisional members of UEFA. In January 2013 the Gibraltar national futsal team participated in the UEFA Futsal Euro qualifiers, losing to Montenegro and France but beating San Marino. The Under 19 and Under 17 representative teams will also participate in the 2013/14 UEFA competitions. 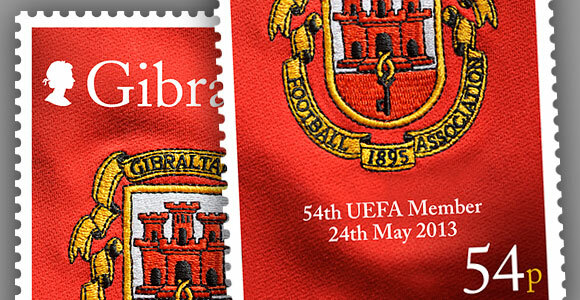 In a historic and hugely significant moment in Gibraltar’s sporting history, the Gibraltar Football Association’s full membership of UEFA was finally confirmed at the XXXVII Ordinary UEFA Congress that took place on Friday 24th May 2013 at the Grosvenor House Hotel, Park Lane in London.